The pope’s comments on annulments were getting some attention here and there this weekend. It’s hard to comment on incomplete statements, so I’ll just touch on the underlying assumption here that people seeking annulments are already in second marriages. They’re not–not all the time. I’ve known many people who were not in sacramental marriages, and long before any second spouse entered the picture, approached the Church for a declaration of nullity. Second marriages aren’t always the sacramental target of annulments. Lots of non-Catholics request them so they can be received into the Church. You’d think the hierarchy would be more interested in evangelization and lassoing in new believers than propping up tribunals with more busywork. More “misdiagnosis: sacraments” from Rome. Americans also get a bad rap for piling up about a third of all church annulments. It’s not really that American Catholics have a disregard for sacramental marriage. It’s probably American legalism bred into us. Catholics in other parts of the world don’t bother nearly as much with the annulment process. Europeans, I suppose, don’t even find a second opportunity to explore sacramental life in the Church. The Orthodox have a sensible, sacramental approach to divorce and remarriage. While I know adopting their approach to marital sacramentality isn’t likely to get adopted in Rome any time soon, I suppose canon lawyers can breathe easy their workload isn’t getting lighter anytime soon. I sought and received a church annulment with absolutely NO intention of getting remarried. Heck, I hadn’t even received the Sacrament of Confirmation yet. I wanted to tidy things up and going through the annulment process — prayerfully and carefully — was part of that. 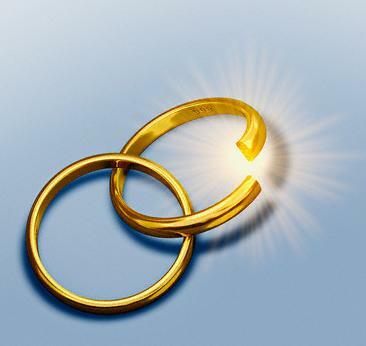 I’ve thought of getting an annulment and not because I have another marriage planned. But annulments cost so much – eek! Everything I read posted by you, Todd, reassures me that my formal defection from the Catholic Church is the correct course of action because those like you are allowed to practice as you do and most bishops would agree with you. You and those like you are CANCERS, among the most malignant and aggressive. You destroy goodness, decency and other souls. You love only yourself and are so twisted you make it into doing Gods will. You bishop would do the rest of us and most importantly, YOU, a favor if he would excommunicate you for the heresy you spread. Then clearly we have a very widespread problem. In this post, I’m advocating the Eastern Orthodox solution. Rome and many bishops would seem to be at odds with that. Then you have tribunals that work through existing canon law, promulgated from Rome. The result of your criticism, Karl, which I don’t take lightly, is that none of us will be leaving the faith because of it. The truth is, that despite our sinfulness, bishops and I and people like me, indeed promote goodness with God’s help. The faith continues to spread despite our flaws and despite our blogs. Where’s the heresy here? I guess if you’re a hammer, everything looks like a nail. I am curious to know how the Orthodox church handles divorce and remarriage. Another difference between the Roman Catholic approach is that, whereas in the Orthodox tradition the priest is the minister of the mystery of matrimony, in the Roman tradition the couples are the co-ministers of the sacrament and it’s the one sacrament that relies heavily on the mutually subjective element of consent – which is one of the main reasons the Roman tradition relies on declarations of that the marriage never existed in substance due to lack of full consent; in the eastern traditions, there is less reliance on that aspect. Here is a post from Father Z’s blog, it is fitting. Can. 1096 §1. For matrimonial consent to exist, the contracting parties MUST BE AT LEAST NOT IGNORANT marriage is a permanent partnership between a man and a woman ordered to the procreation of offspring by means of some sexual cooperation. §2. This ignorance is not presumed after puberty. Can. 1083 §1. A man before he has completed his sixteenth year of age and a woman before she has completed her fourteenth year of age cannot enter into a valid marriage. §2. The conference of bishops is free to establish a higher age for the licit celebration of marriage. together these Canons give evidence of SIMPLE consent which can be exchanged even among adolescents. I am not aware of the US bishops altering the age of licit celebration of marriage. I do not see how such simple consent is so, apparently, easily lacking, unless there are very severe, incapacitating issues, which while using other words, is what, I believe, has been taught in the Papal allocutions before the Roman Rota. It seems that the inch has been stretched to the proverbial mile. I have not formally studied Canon Law but I would consider it if I had sufficient funds and the time. Unless I win the lottery, however, this will not be the case barring a benefactor with significant goodwill, lots of cash and a willingness to part with it. I am not holding my breath. I have lived through the annulment process from January 1991 through the third instance decision by Stankiewicz, et al in December 2002. I also know others who have been through the process and even more who are currently going through the process. I have a niece, whom I have gently through her mother(my sister), asked to give this process a thought. But her pain has driven her from the Church and she has also seen, first hand, what I have gone through, so she wants no part of it. I am simultaneously, very sad for her but completely understanding of her desire not to repeat my experiences. She does not understand the world of difference between our circumstances even though I have tried to help. So, I am not opposed to the proper administration of the process. But, to this day, I have not experienced that. I have not read all the comments but SUPERTRADMOM,I know the process from experience, I’ve read alot, I’ve spoken to many people with experience with annulments and written to those who have and have not gotten annulments and I can assure you there are far more than a few anomalies that have destroyed lives and destroyed faith due to this process not being sufficiently overseen. I know of some people whose issues have never been addressed in spite of years of efforts. For almost twenty years I have tried to have many issues addressed but have been refused or ignored, in the United States but also in Rome. The problems run throughout the entire tribunal network, at least in the U.S and how it relates to Rome. I have experienced the same in numerous dioceses in the U.S., as my wife has moved from place to place. In my experience, your comments of being cynical and lacking faith are much more appropriately linked with the clergy/canonists than with respondents. You should NOT give the Church the benefit of the doubt. You should give the benefit of the doubt to the marriage and those defending it. This should be particularly true when the respondent has successfully defended their marriage. In such a case, at least in my opinion, special deference should be given to such a respondent and their opinions should be solicited on many issues related to their experiences in the process. Most certainly, when they allege wrongdoing, there should be immediate action taken, independent of the local bishop’s control and influence, to fully investigate the allegations. I am here to tell you that every single effort I have made to do just as you advised has been thwarted. It does not work. I am not saying you are being untrue. I am saying that, even in Rome, no one cares. The Church has had a small mountain of evidence, for years, regarding many acts of misconduct and outright violations of canon law but I have never seen anything done to address any of them. By the way MR. FERGUSON, before I decided HOW to respond to my wife’s nullity libellus, I sought out an old canon lawyer. It was he who advised me of my obligation to defend our marriage, based upon what I had told him. At the time I knew very little of annulments and was completely blindsided by my wife’s actions. It was only after having been forced into this process that I learned about it. I had no predisposition to the process one way or the other. I simply, having lived with my wife for all those years, could not fathom that our marriage could be “found to be null”! Throughout our whole marriage we had frequently recommitted ourselves to it, to each other and to our children. We were practicing Catholics and were active in the Church. I remain faithful to our vows. My wife is still supported in her adultery with her long-time lover, by the Catholic Pastor, and with the knowledge of the local ordinaries, both the Latin Rite and Byzantine Rite, Bishop and Eparch, respectively. The lover was accepted into the Catholic Church through RCIA, as he impregnated my wife during the annulment process and I had to threaten the Eparch with action in Rome to, at least in public, stop giving communion to the unrepentant adulterers, after Rome, in the second instance, had reversed the American first instance decision and the third instance decision was pending. I would not be surprised if communion is given in private, in spite of the unrepentant and public adultery. This entire tribunal process is supported by outlandish pastoral practices often based on the clear abuse of the “living as brother and sister” accommodation. It is a disgrace. As is the abuse of the internal forum, which to my understanding is wide spread and forbidden to be used as it is. There is much that Rome needs to address, which the bishops in America do not, for whatever their reasons are. They are supervising circumstances that are openly hostile and toxic to marriages. They have known this for over thirty years. The Holy Father’s words were clearly appropriate, but too little and too late. He needs to listen to those of us his brother bishops are trying, at least tacitly, to destroy. He needs to listen to respondents who have defended their marriages. We need him to act. We have waited and waited and waited and waited, as our marriages, by the tens of thousands are openly violated and our spouses welcomed with open arms, with THEIR arms around their adulterous partners. Very often the adulterers have custody of our children and we are often the innocent abandoned spouses, who have no say at all in the sacramental life of our children, although the Church is careful to protect the rights of the adulterers and their lovers over OUR children. Please help us defend our marriages, Holy Father, against our own Bishops, clergy and our spouses. Do not leave us alone, any longer. By your own words you MUST ACT. Please live up to your words. This husband and father is begging you to directly intervene in the United States! I want to believe these words but they have been spoken before, in other ways, for YEARS by your predecessor and NOTHING HAS BEEN DONE TO HEAL OUR VALID MARRIAGE. Either your words must mean something and you must feel COMPELLED TO ACT or you cannot expect us to be faithful to OUR VOWS. This is NOT JUSTICE. This is NOT CHARITY. I have begged your brother bishops, including my own three…Cardinal O’Connor, Cardinal Egan and Archbishop Dolan, who has put his signature on the Manhattan Declaration but ignores my personal pleas to intervene in our valid marriage; why do these men and you preach one thing, yet seem to practice another? What does that tell us? What does that tell our children? What are you teaching? Why is our marriage treated with the “inhumane coldness” you condemn and none of the justice and charity you say a Catholic must practice? How can I come home to a Church that acts in an unchristian manner? You have made a place for Anglicans, whose ancestors murdered Thomas More and John Fisher, who stood up for marriage at the cost of their lives, yet you hesitate to heal this marriage. If the bishops in America will not act, where else can we go? I do not understand. I never have understood why the Church will do all it can to assist my wife’s adultery but not offer a hand to heal our valid marriage? To what end, then, is a valid marriage; to be mocked by the very Church which witnessed it and upheld its validity so many years later? How many times must I beg for help? How much criticism must I bear for our marriage and for the salvation of my wife, her lover and her children? Why does the Church not care for these souls? When will the priests, bishops and canonists who read this blog understand that good marriages ARE BEING destroyed in this process, in spite of a lot of good hard work? When will these men and women understand that we need their help for our marriages? When will you stop making it us and them and make it all US? We do not run the process, YOU DO. We are sucked into it by the inertia of the tens of thousands of nullities, EVEN IF THEY ARE TRUE! There is no doubt a very strong current of “entitlement” regarding annulments, which creates its own demand. Our marriages and our children are being DESTROYED. LISTEN TO US. WE ARE NOT TRYING TO UNDERMINE WHAT IS GOOD! WE ARE BEGGING FOR HELP TO SAVE OUR SPOUSES, OUR CHILDREN AND OURSELVES AND MOST ALWAYS ALL WE FACE IS JUDGMENT AND ANGER OR BEING IGNORED. WE ARE LIVING VICTIMS OF “INHUMANE COLDNESS”! To fail to address these issues is criminal and unjustifiable. But it has been that way for years and years. This division is artificial and destructive. Anyone who reads this post and thinks that it is hostile, is mistaken. It is so fundamentally important, not just to me and our family, but it is essential to the Church itself. This situation is consuming so many families and so many souls. In spite of the significant experience of many good canonists, you do not understand things as we, who have been through this process, understand things. It is for all of US to find ways to help each other and that MUST BE realized. But, I do not have much left from this battle. It is not the same thing to sit as a judge or as a canonist/advocate as it is to be the one and only who is fighting to defend what is real and what is valid. Platitudes should go on the shelf. I lost everything. The life I knew is gone. I never raised our children. I am alone. Do not tell me that our marriage is valid and then support those who violate that marriage. Such falsehood should be condemned but rather, it is encouraged. Do not tell the victim to forgive without in the earlier breath telling the guilty ones to repent and acting strongly to bring that about. Such is terrible injustice and false charity, which abound in this process, canonically and pastorally. Do not fail to hold to full account those, in the Church and out, who have, knowingly, supported the guilty in their adultery and in their persecution of their victims, which more often than not, include their own children. As the saying goes, there are two sides to every story. The annulment process bears that out. But there is only one truth. The truth is that “for a valid marriage there is no limit to what should be done to save it”. I read this in an email from a young Fordham University PhD candidate in Medieval Philosophy, whom I have known since he was a child. God bless you, John Peter. He was commenting to me on some work by Monsignor Cormac Burke. It is a simple truth.